The decision is not yet final as the Maharashtra government is yet to give its official okay to Rohini Salian's appointment. 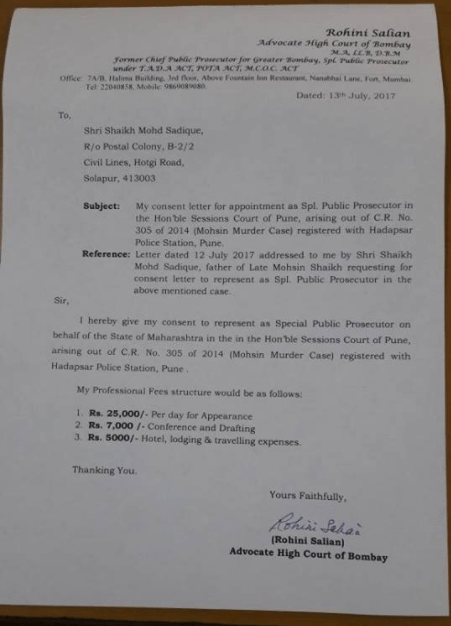 New Delhi: Senior lawyer Rohini Salian, known for refusing to cow down to the National Intelligence Agency in the Malegaon blast case, has agreed to become the special public prosecutor in the Mohsin Shaikh murder case. Shaikh, a Pune-based IT professional, was murdered allegedly by members of the Hindu Rashtra Sena on June 2, 2014. Ujjwal Nikam, who was the previous special public prosecutor, stepped down from the case without giving any real reason for doing so. Mohsin’s family, though “shocked and upset” that Nikam quit the case at the crucial moment when charges against the accused were to be defined, said then that they would request Salian to take over as they trusted she would get them justice. When he quit, Nikam sent a message to Mohsin’s father Sadiq Shaikh thanking him for his faith in him and saying that he respected Sadiq very much, which is why he took the case. “God is great and he will give justice,” Nikam concluded. However, he did not mention why he decided to quit the case. “We know Rohini Salian is another public prosecutor whose credentials are well known. 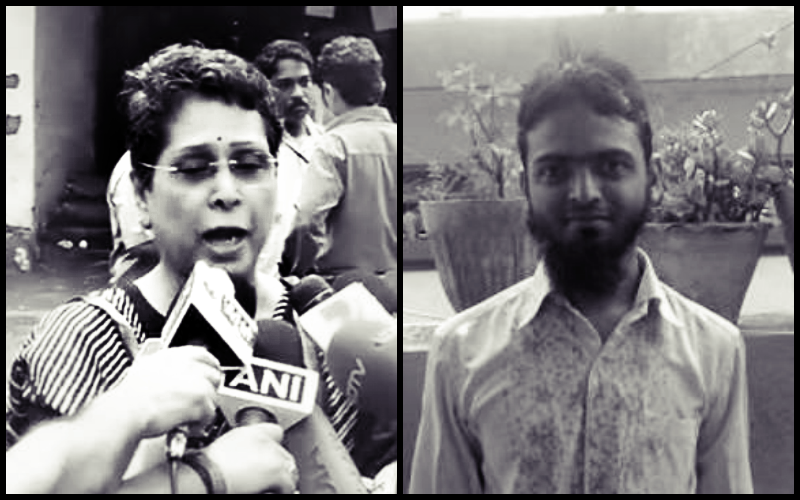 She did not give in to NIA’s request to ‘go soft’ on the accused in 2008 Malegoan blast case. Instead, she decided to quit the case and went to the media, revealing the pressure she had faced,” Sadiq had told The Wire at that time. In addition to writing to Salian, Sadiq wrote to Maharashtra chief minister Devendra Fadnavis requesting that she be given charge of the case, The Hindu reported. “I was approached by the family members of Mohsin Shaikh to appear in the case. I have given them a letter, giving my consent. I am ready to represent as SPP in the case subject to government notification,” Salian told DNA. Rohini Salian’s letter to Mohsin Shaikh’s family. Mohsin’s family is pleased with the development and are hopeful that the government will make it official soon, as the case has been in limbo since Nikam said he could no longer be the special public prosecutor. “It is a positive development that she has agreed to be appointed as the SPP in the case. We are now waiting for the confirmation from the government. I am in touch with the officers from the concerned departments,” Sadiq told the Indian Express.